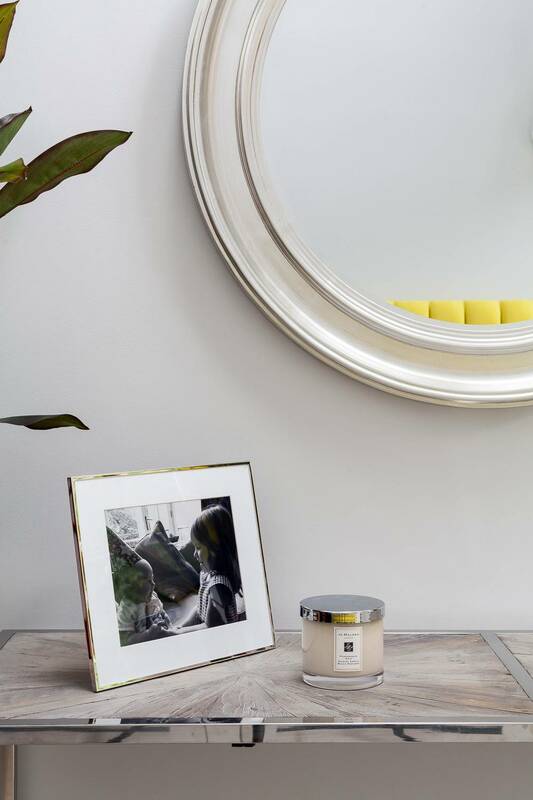 Injecting colour, style and wow into their dining room and hallway - setting to tone for their whole home. 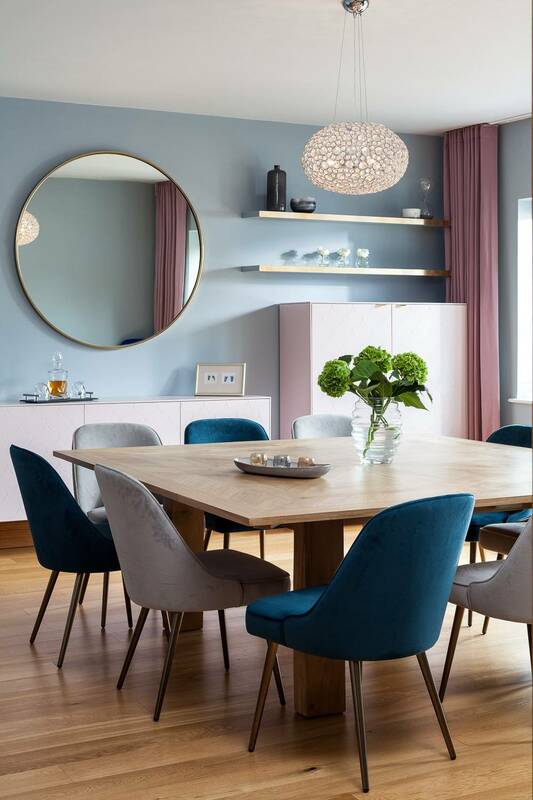 Laura and Ben wanted to turn their dining room in to a real showstopper of an entertaining space - somewhere that all the family and friends could have a great evening in! 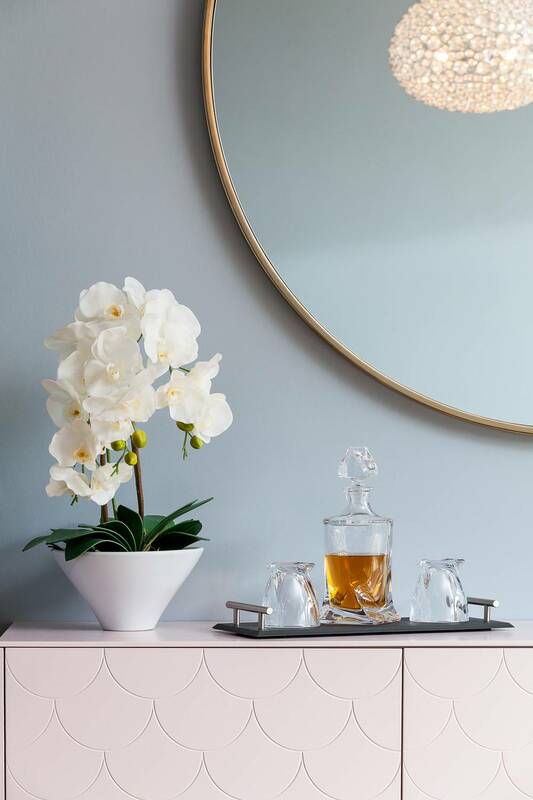 Together with the hallway, the spaces felt unloved and they were keen to revitalise the rooms in to ones that reflected them, and the rest of their home. 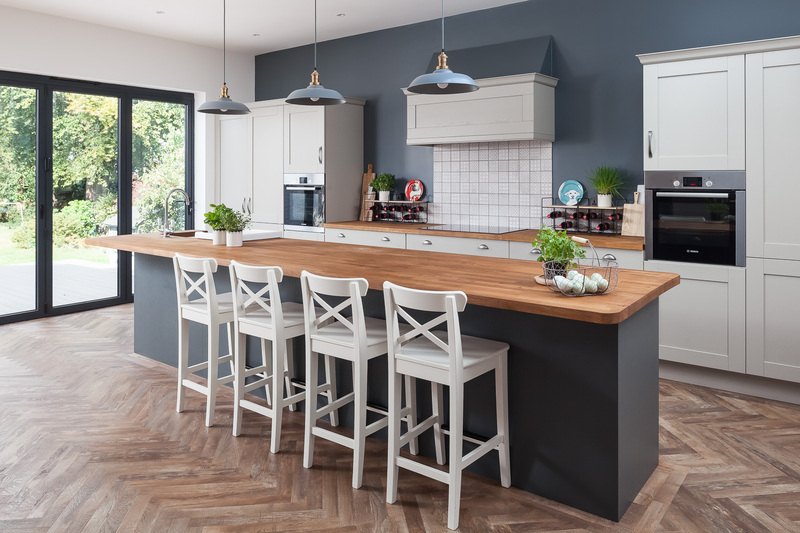 We just love the bold and strong colours used in this scheme to create two fabulous rooms full of fun and personality – and with a serious style element. The scheme works in a panel of wallpaper with tons of colour and detailing to become a cohesive and beautiful space. 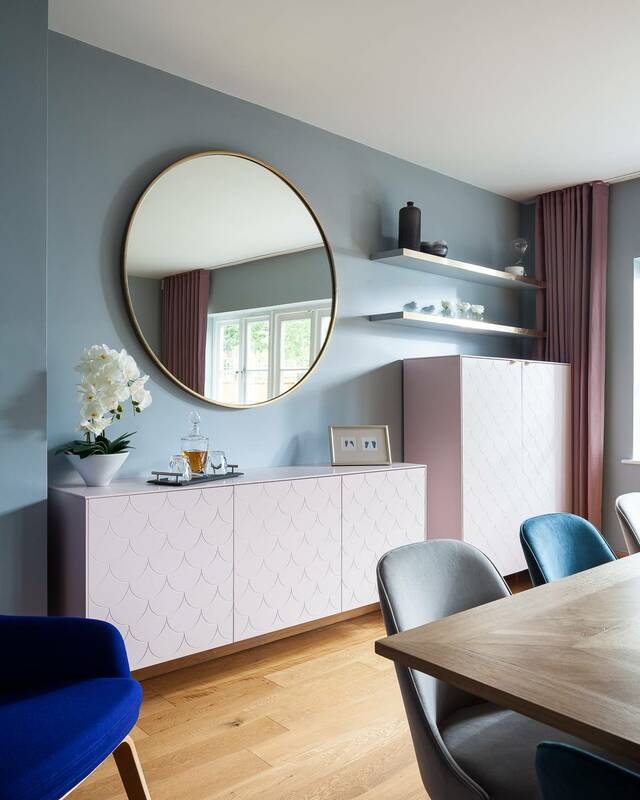 The large, square dining table takes centre stage in the room, bringing seating for 10-12 people. 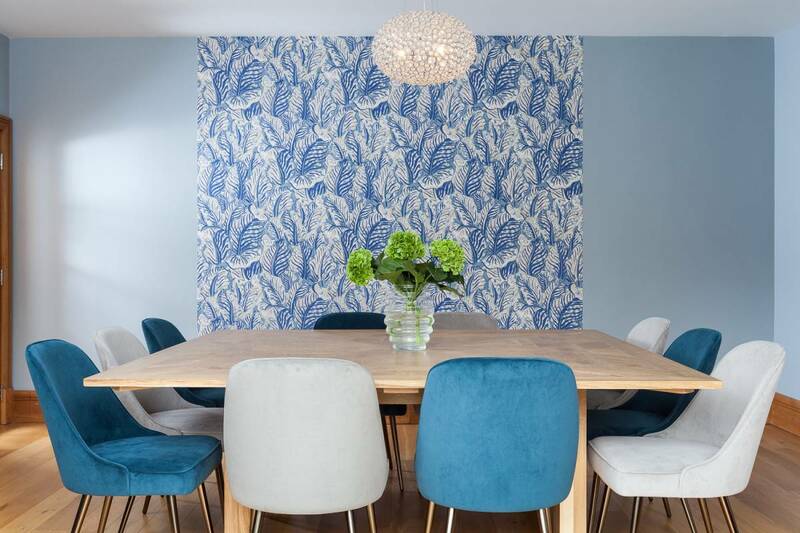 Laura found the table style online and fell in love with it so we helped recreate the style, adding in the mix of colourful chairs to tie in the wallpaper and make sure the scheme felt really colourful. 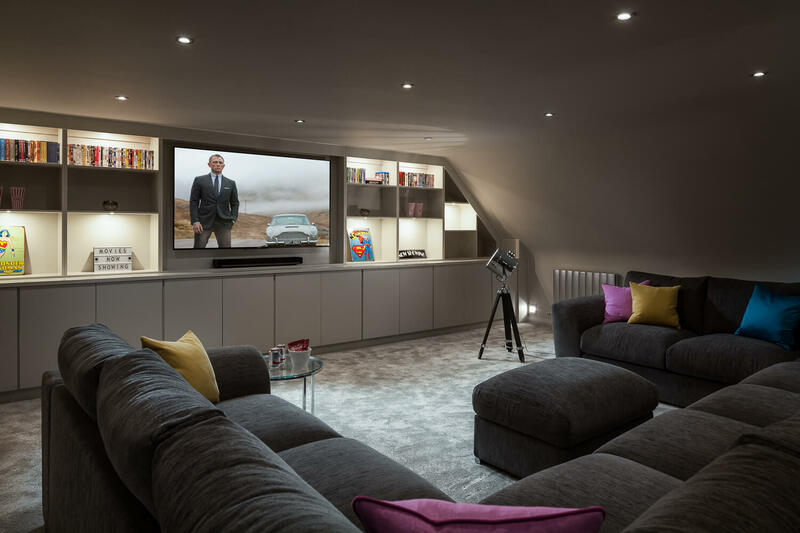 Whilst needing to add storage to the room, it was key that it disn’t feel too cluttered, so the wall hung units helps to keep a feeling of space. 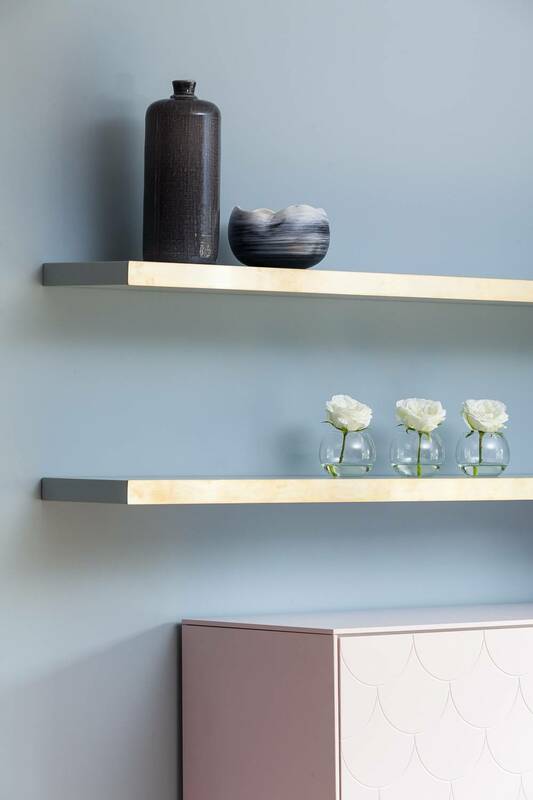 The fabulous pink really adds a warmth to the blue walls and alongside the gold brings a really luxe feel to the space, with textured doors ramping up the style one more notch. 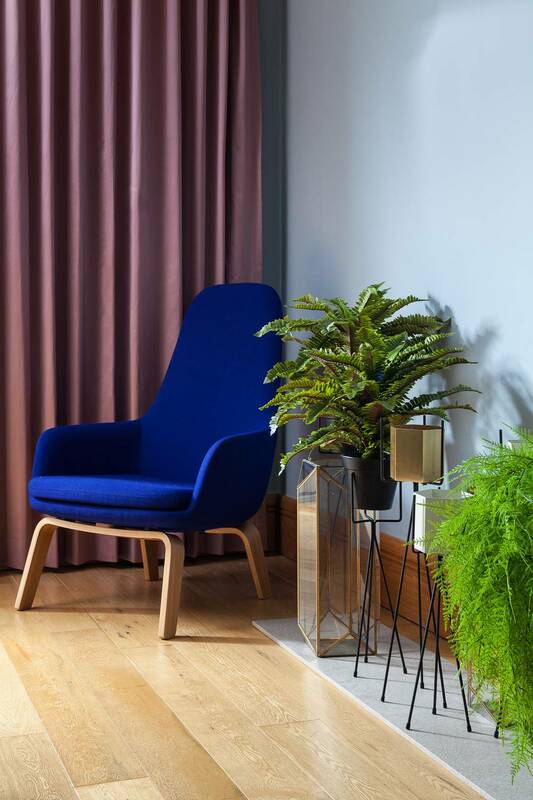 The view on to the garden is great and to make the room and garden flow, we introduced a collection of faux plants bringing life and greenery to the space without the maintenance factor. Finally some big comfy armchair sit in the corners, perfect for sinking back in to! Archtecturally, the hallway is a great space and the designs we proposed for the interiors needed to enhance this even more. 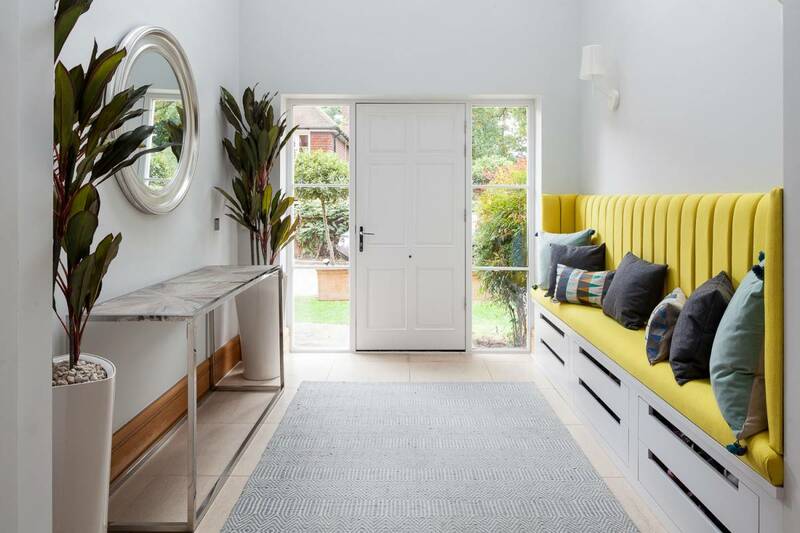 The bespoke bench makes a real statement when you come in the front door and sets the tone for throughout the home – with pops of bold colour, metallic finishes and style and function working seamlessly together.